Noah Potter is a graduate of Columbia College (B.A., Political Science, 1995) and of the Benjamin N. Cardozo School of Law (J.D., 20 00). He is admitted to practice before the courts of the State of New York , the United States District Court for the Eastern District of New York, and the United States District Court for the Southern District of New York. 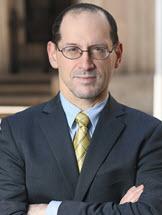 He has extensive experience in researching and drafting legal memoranda on a wide variety of civil litigation topics. He has made decisive contributions to the prosecution and defense of numerous proceedings in both federal court and in state court. Among his accomplishments are: preparation of the papers in support of a successful motion to dismiss a seven million dollar claim for breach of contract and fraud, identification of the evidentiary clue that demonstrated the deceitful backdating of a corporate document by the defendant in an action between joint venturers in a hedge fund of funds and provided the basis for an order allowing the plaintiff to take the deposition of the defendant's attorneys, the successful argument in opposition to a motion to dismiss an action brought in New York for the lease of Connecticut real estate, and preparation of the papers in support of a successful motion to lift the automatic stay protecting unauthorized occupants of commercial real property who had filed for bankruptcy in order to avoid eviction. Mr. Potter is a member of several committees of the Association of the Bar of the City of New York and of the Health Law Section of the New York State Bar Association. He studied Hebrew, Arabic, and political science at the Hebrew University of Jerusalem while conducting an internship in the Israeli Ministry of Health; he is also familiar with French and Farsi.